Your priced possession needs a good insurance and there are lot of attractive options. However you should remember a few things before buying car insurance in India. With so many new vehicles hitting the road each day and bumper to bumper traffic to watch out for as soon as you start your daily commute; not having a comprehensive motor insurance can be a big mistake. Car insurance can be a great boon when faced with big expenses for repairs of your car and hence you should give importance to it. There are mainly two types of motor vehicle insurance in India; Third Party and Comprehensive Cover. Third Party is mainly for the purpose if the insured causes damage to someone or the property of someone via his/her vehicle then that is covered. However damage to his/her own vehicle is not covered. This insurance is mandatory by law and hence all vehicles have it and is often given by the dealers when you buy your car. This is not sufficient since if there is a damage to your own car you may face a huge bill of repairs and for such times, a Comprehensive Car Insurance comes in handy since it covers your vehicle for damages, accidents, natural calamities and even thefts as per their policies as well as provides the mandatory third party insurance. There are lot of General Insurance providers out there offering competitive rates and attractive offers, so how do you know which one to choose and how to buy car insurance in India? First and foremost factor to consider for any insurance is the claim settlement ratio of the company. Go for a company with a good track record of settling car insurance claims and also settling them reasonably quicker. You do not want to be paying premiums and have your claim rejected for baseless points and objections nor you want to wait months to receive the amount. Once you buy the policy the support and service of the insurance provider matters the most. While issuing policy all companies are cordial and warm, but it is the company that is the same later and especially when you have to make a claim, is the one you should opt for. You should compare and ask around a few people for their experience with the different companies and then decide. Also there should be 24×7 support and contact points available for you to reach out to them when you need. Like your mediclaim has the option of cashless hospitalization, similarly some car insurance companies also provide this option. If your company provides it, its a great relief during emergencies and you do not have to run around arranging for cash and hence is a thing to remember when buying car insurance in India. However if all other points of a company are good, merely not giving a cashless option should not be a deal breaker, but it is something that is good to have. The more the network garages the better and the more they are nearby you it’s best. Check the list of network garages and also the reputation and feedback of these garages while choosing a car insurance company in India. Other factor to consider when taking car insurance in India is the how soon the coverage can start and how soon will the policy be issued. Gone are the days when it took months for the whole thing to finalize. It is the era of instant things and hence the speed of coverage and issuance of policy should be considered while buying car insurance. 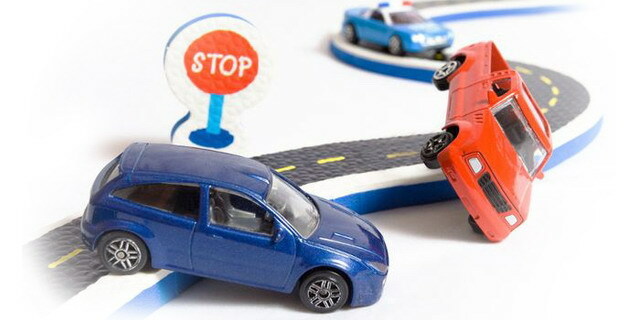 24×7 road assist, towing services etc are often offered by insurers and is good to have a one-stop solution to all your needs when faced with an accident or emergency. However there are times when these features may add to the premium and if you are on a budget this feature can be easily skipped and you can save some money. Opt for these add-ons only if you are comfortable affording it, otherwise it is not a deal-breaker. Compare the above factors among various providers and get quotes from different companies. Compare the premiums of various companies and the extent to which the coverage goes. There are deductibles which is the amount the insurance company expects you to pay before they pay the balance to reimburse you. The lower this deductible the better it is for your pocket. So consider this point while opting for a car insurance. There are lot of companies providing insurance and not all are bad nor all are good. No company is perfect, and every company may have its fair share of negatives and positives. Use the internet well to check out reviews and public experiences. Also if a company ticks most of the above points, then it is safer to choose it, and hence the above are important points to remember before buying car insurance in India.